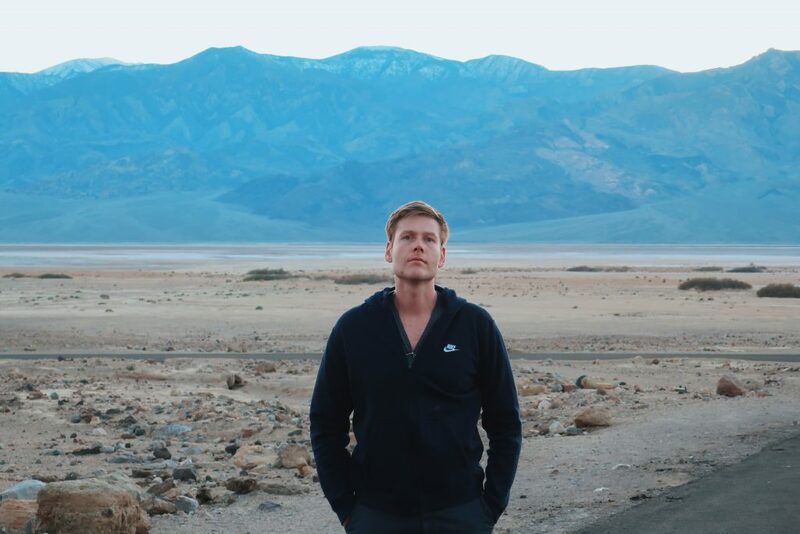 Looking for fun things to do in Las Vegas? We’ve put together some of the best attractions Vegas has to offer besides drinking and gambling. 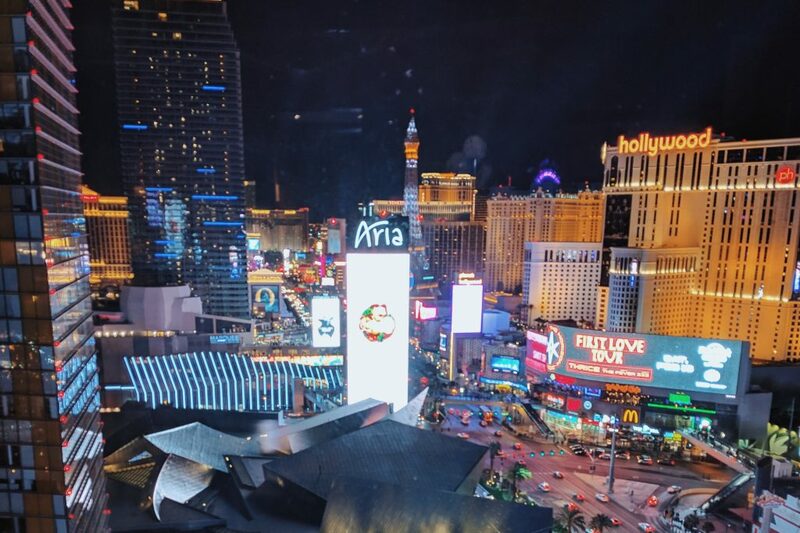 Although, we do mention some spots you should check out on the Strip. 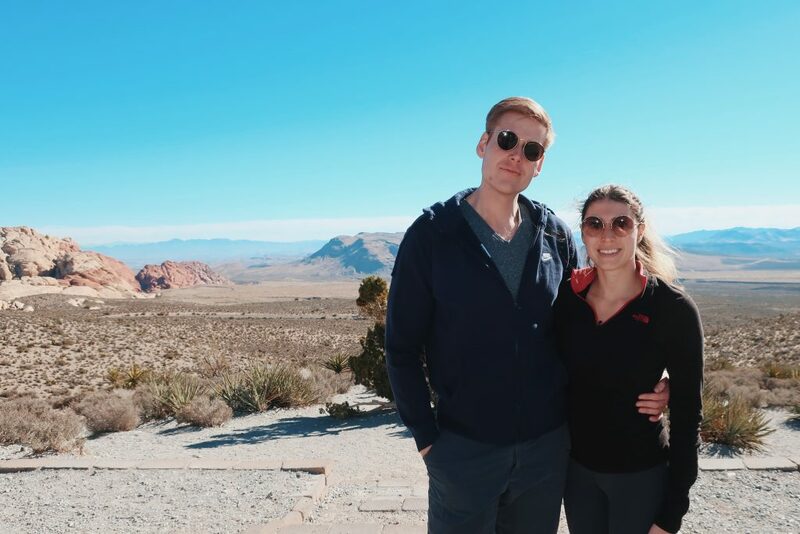 We focus on enriching and unique Las Vegas activities that include hiking spots, museums and shops. 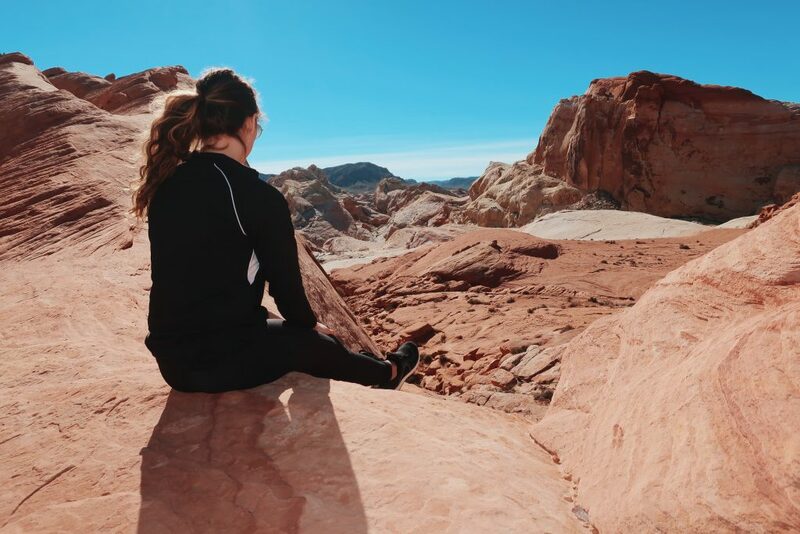 This guide will help you plan your family excursion, solo trip, couples adventure, girls’ weekend or sober travels to Las Vegas! We’ve listed so many Las Vegas travel ideas here that you’ll have to pick and choose. I’ve been to Vegas a few times, and I thought I had enjoyed myself. I did the “EDC Vegas” trip, I did the “Let’s Party on the Strip” trip. Neither of these experiences compared to my most recent trip to Las Vegas. Why was my last trip so great? I think a great trip should contain equal parts of culture, adventure and luxury. My past trips to Las Vegas were excess in excess. From the buffets to the casinos, the pool parties and the nightclubs, my head was spinning and my body was complaining by the end. So, either I’ve gotten old and lame…or I’ve found the key balance to a perfect Las Vegas weekend trip. Needing to see where everything is located? Take a quick hop over to our Las Vegas Attractions Map. If you don’t rent a car, you’ll almost certainly be stuck on the Strip. There’s so many attractions off of the Las Vegas Strip to explore. 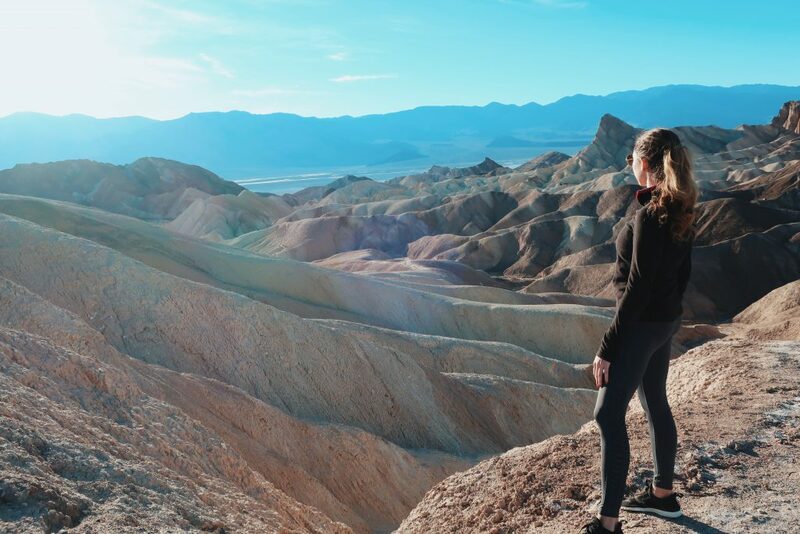 You’ll find amazing hiking opportunities 30 minutes to 3 hours outside of Las Vegas. 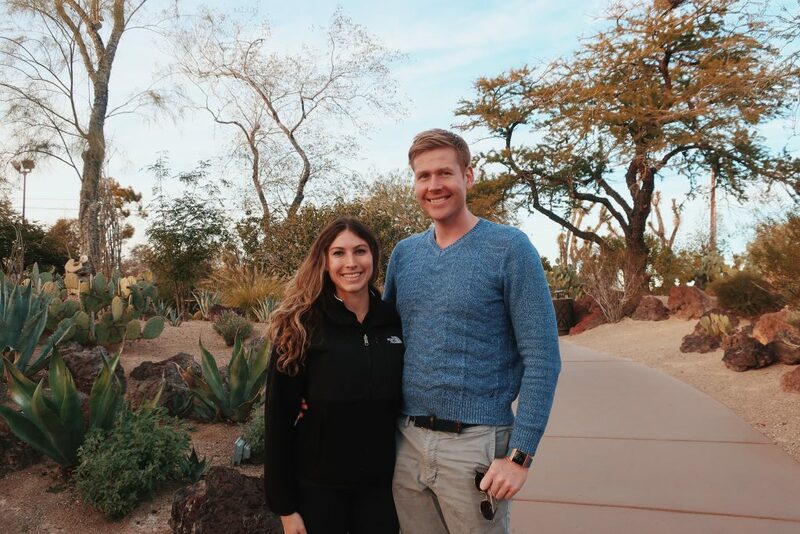 Renting a car will also allow you to easily visit any museum, the old Strip and other cool attractions (like the cactus botanical garden, the Gold and Silver Pawn Shop from Pawn Stars and more!). In addition to all the attractions you’ll have access to, you’ll also be able to eat at local restaurants. If I haven’t convinced you yet, I will also mention that cabs in Las Vegas are obnoxiously overpriced. Las Vegas is situated in the middle of a few natural spenders from mountains and canyons to lakes and valleys. The Nevada desert has it all! Winter is the perfect time to hike in the desert. On average, temperatures around Vegas will range from 40 to 65 degrees from December to February. The sun shines bright as always. This guarantees a refreshing and ideal climate. Regardless of the season, you’ll be able to visit national park attractions near Las Vegas. Although, it does gets quite hot in the summer. If you’re hiking in summer months, make sure to bring plenty of water and try to go early in the morning. 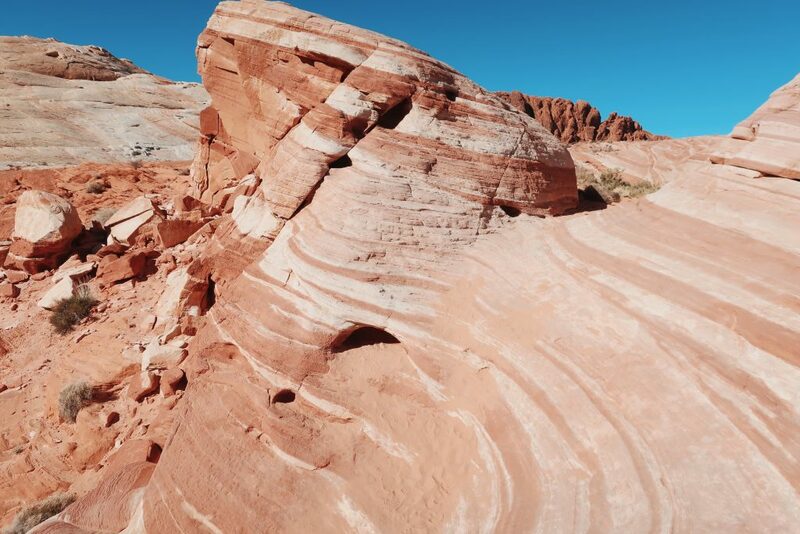 Located just northwest of Las Vegas, Red Rock National Park is a hiker’s desert paradise. It only takes 30 minutes in the car to get to Red Rocks from the Las Vegas Strip. The park features a 13 mile loop with a variety of scenic lookouts and branching trails. We especially loved the Calico Tanks trail because it allowed us to climb up and around the rocks like little kids. The rocks were so numerous and all encompassing that any semblance of a path had shorty disappeared. You could follow the trail markers or go off in a unique direction. Another one that we loved was Ice Box Canyon. These trails were rated difficult, but worry if you’re not into difficult hikes or have kids tagging along. The park offers trails at a variety of different skill levels. A lot of the trails do take over 45 minutes to complete fully. I regret not planning to spend more time here. I recommend you allot at least 3-4 hours, but you could spend half of a day or an entire day hiking here. 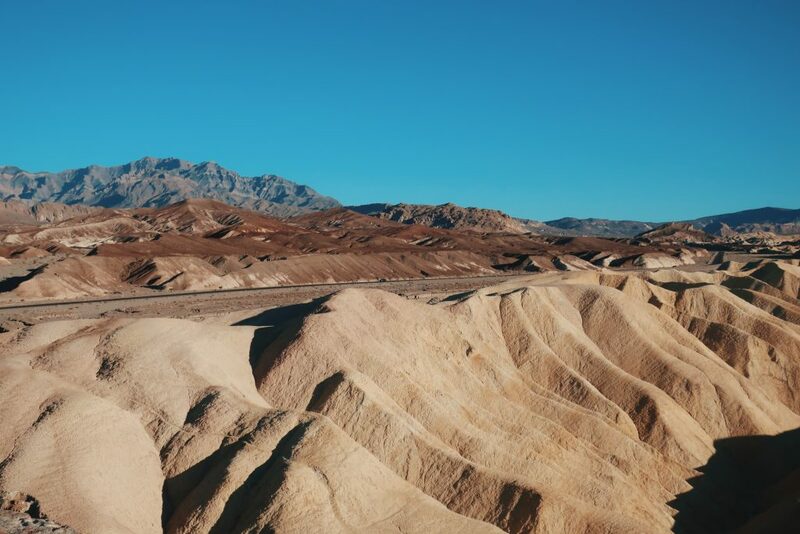 Death Valley National Park is in California, but it’s only a 3.5 hour drive from Las Vegas. This park is massive! You could spend more than an entire day here, but don’t leave yourself any less than half a day. The views are spectacular even from inside your car. Valley of the Fire State Park is located about an hour northeast of Las Vegas. It boasts unique, colorful and rugged landscapes. Our favorite trail was Fire Wave. We also enjoyed White Dones. This park provides half a day to a full day’s worth of adventures. You wouldn’t expect to find snowcapped mountains right in the middle of the Nevada desert, but Mount Charleston offers skiing opportunities every winter. In the non-winter months, Mount Charleston offers hiking trails at all skill levels. The Mt Charleston recreation area is a little less than an hour out from the Las Vegas Strip. 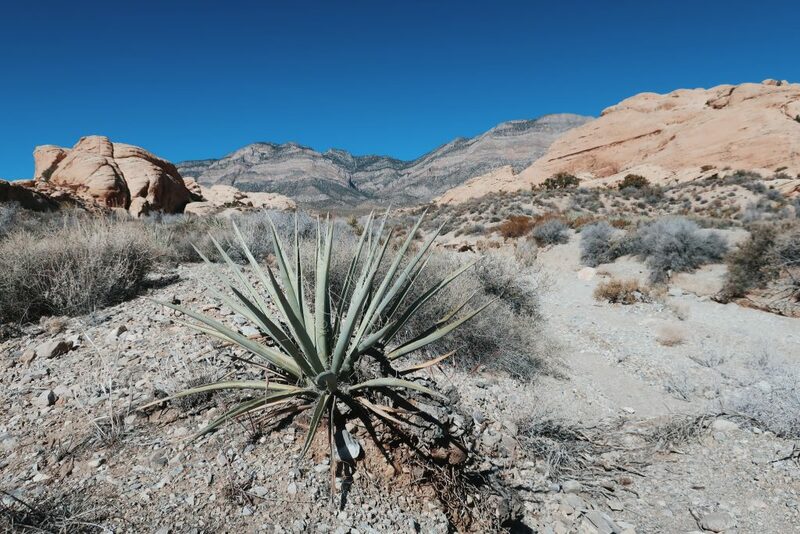 The Sloan Canyon national conservation area offers a couple scenic hiking trails. The Petroglyph Canyon Trail is a local favorite that’s good for all skill levels and features wildflowers on route. Sloan Canyon is only 20 minutes south of the Las Vegas strip! You don’t need a whole day to check out this place, you could stop by for a quick few hours of hiking. 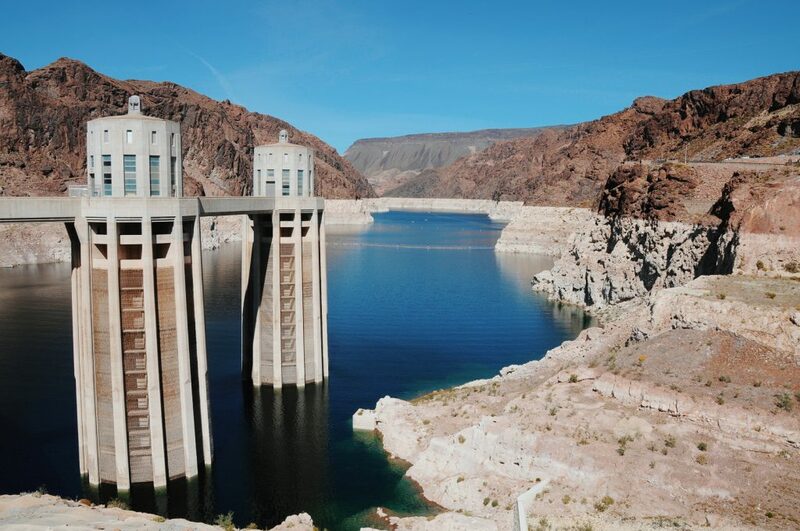 The Hoover Dam is a modern marvel of engineering. 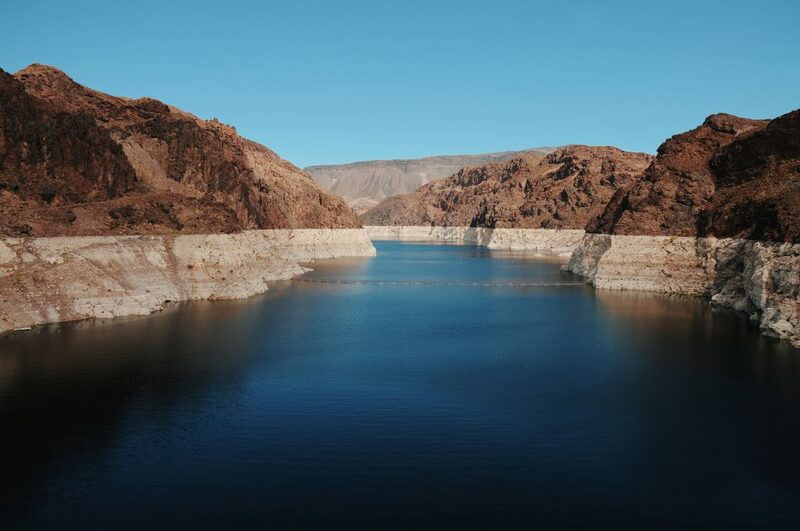 It takes just under an hour from the Strip to reach the Hoover Dam visitor center. The Hoover Dam observation deck at the top of the dam is damn impressive! 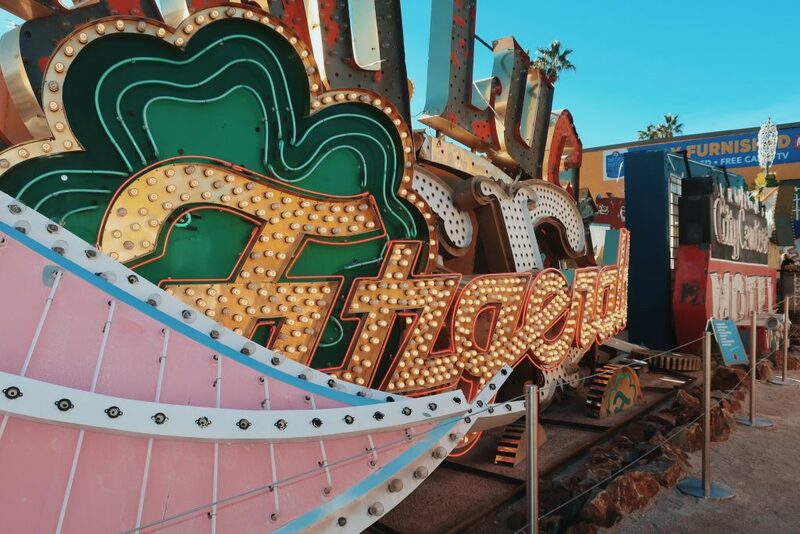 The Neon Museum exhibits an impressive collection of historic Las Vegas signs. 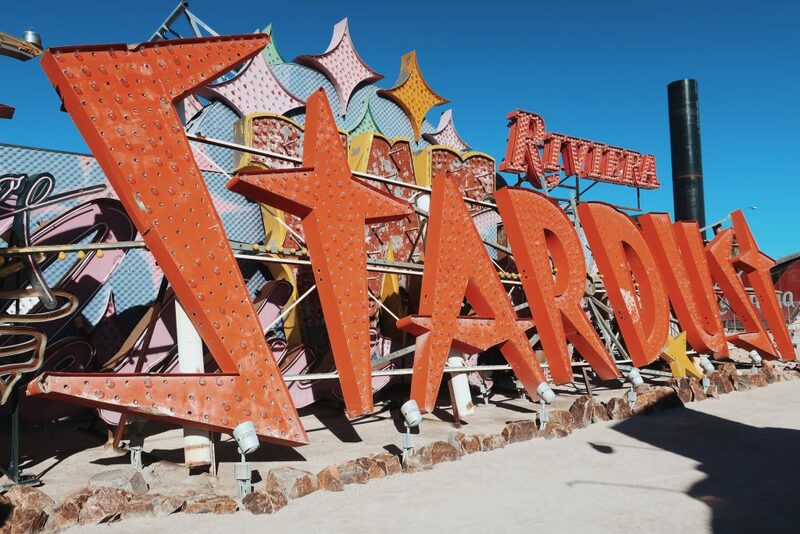 This outdoor “Neon Boneyard” is overflowing with rescued signs, vintage bulbs and beautiful colors. Throughout, you’ll find many instagrammable backdrops. 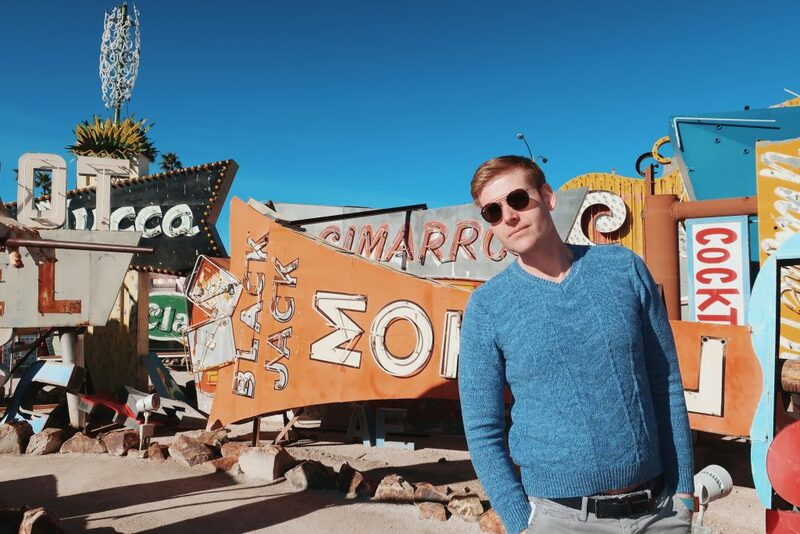 You can also book a photoshoot in the Neon Boneyard for your friends or family. For more information visit their website here. This museum documents America’s 70-year history with nuclear weapons testing specifically at the Nevada Test Site. The Nevada Test site was located about 65 miles north of the city. During detonations in the 1950s and 60s, mushroom clouds could be seen from within the city of Las Vegas. The testing became a tourist attraction and drove Americans to downtown Las Vegas hotels. Visit their website for more information. The Mob museum is situated in downtown Las Vegas, right in front of the Old Strip. If you haven’t seen it, you should take a walk through it. While it lacks the stature and glamour of the new Strip, it offers a vintage charm and a traditional Vegas feel. The Mob Museum is housed in a former Las Vegas Courthouse. The courthouse was sold by the federal government to the city of Las Vegas for $1! The city agreed to develop the courthouse as a historic site and use it for cultural purposes. As you walk through the museum, you’ll travel through time, revisiting the history of the Mob in American society. 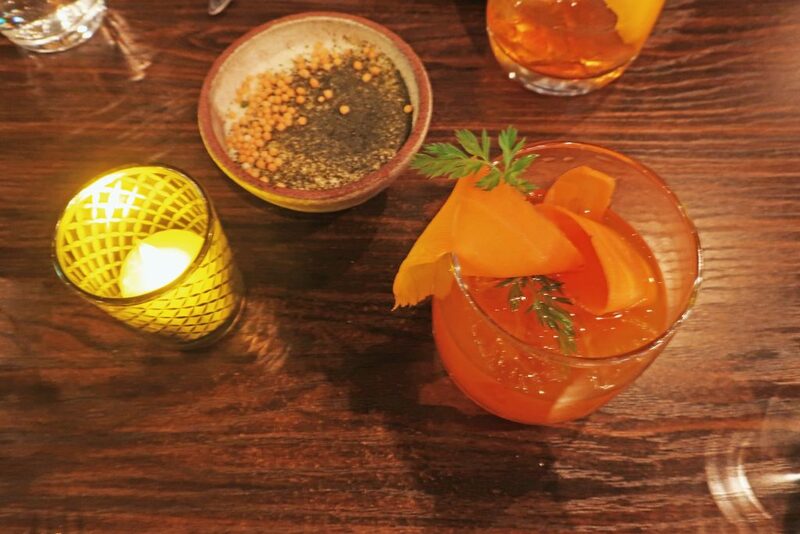 After you’re done with your tour, stop by the basement speakeasy for a drink. Perfect for families, the Ethel M Chocolate factory offers a brief self-guided tour as well as samples of their famous chocolate. On site, you can also indulge in chocolate tasting workshops as well as Chocolate and Wine tasting classes. Click here for times and scheduling information. 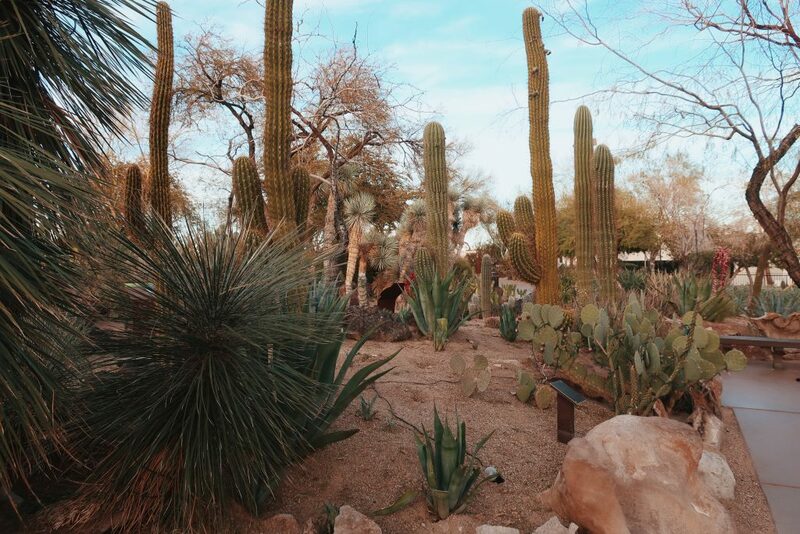 After you’ve had a sweet experience inside, make sure to walk through the cactus botanical garden on site. These beautiful and colorful rocks are about 20 minutes drive from the Las Vegas strip. The Seven Magic Mountains are an art exhibition of enormous dayglow totems. The totems were sourced from local boulders. They are meant to symbolize a state in between artificial and natural. Read more about their artist and creation here. The Springs Preserve features gardens, walking trails and museums. This is another great place for families. 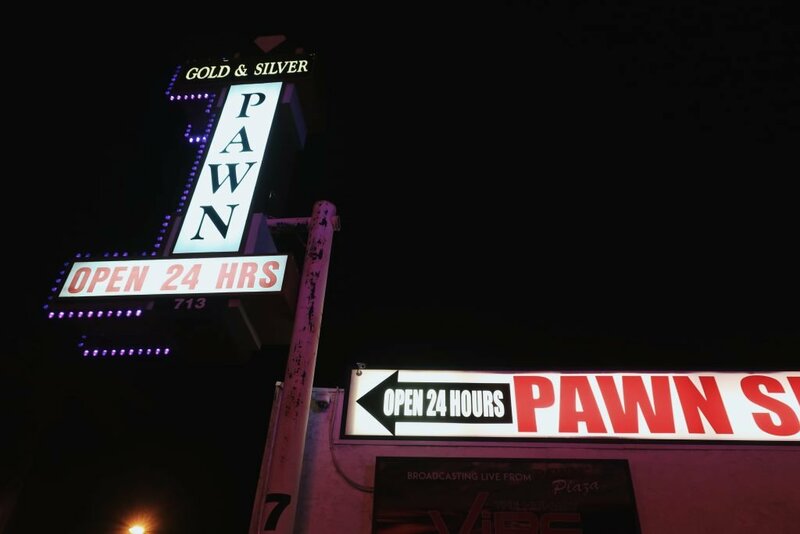 The pawn shop from History Channel’s Pawn Stars. 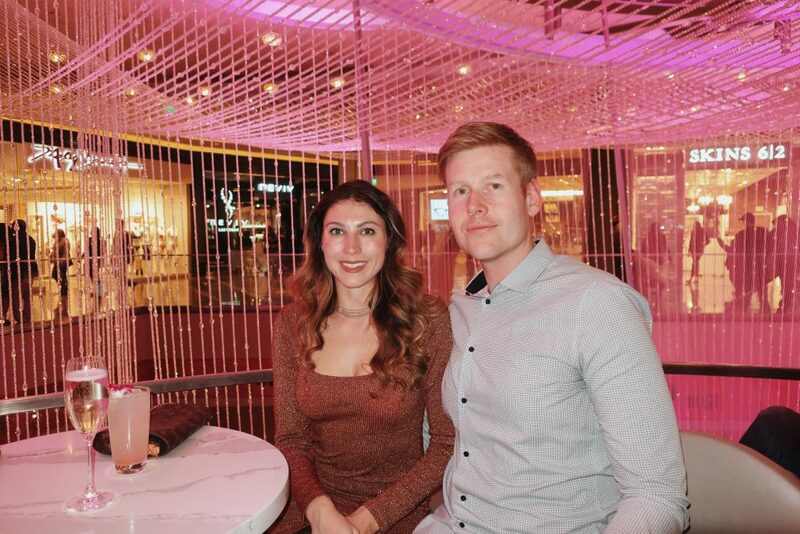 The Las Vegas Strip may be the only place in the world where you can find such a dense collection of “hot” $$$$ + restaurants that are almost always entirely empty. While there are numerous of these empty $$$$ restaurants and endless options for fast food, the Strip is lacking in bustling, unique restaurants with good quality food offered at $$- $$$ prices. Basically, what I’m looking for. The restaurants on the Strip aren’t really looking for repeat customers. The Strip does draw cool franchises, some you’ll be hard pressed to find in other locations, but when I’m looking for a delicious meal in a non-fussy yet impressive setting, I look to where the locals are eating. Now that you’ve hiked through canyons, visited a museum and had a tasty dinner, it’s time to return to the stip. 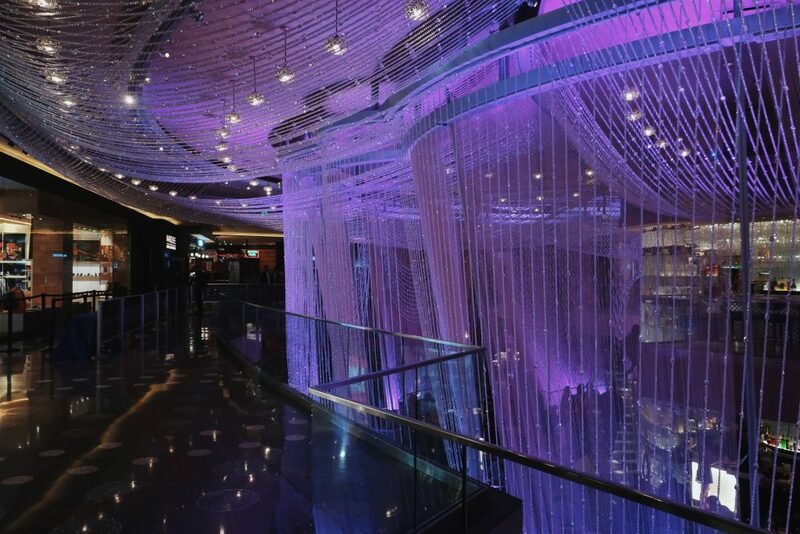 The Strip is the perfect spot in Vegas for enjoying a fancy drink & getting a sweet treat. My favorite bars are the Chandelier at the Cosmopolitan & Skylar at the Waldorf Astoria (previously the Mandarin Oriental). 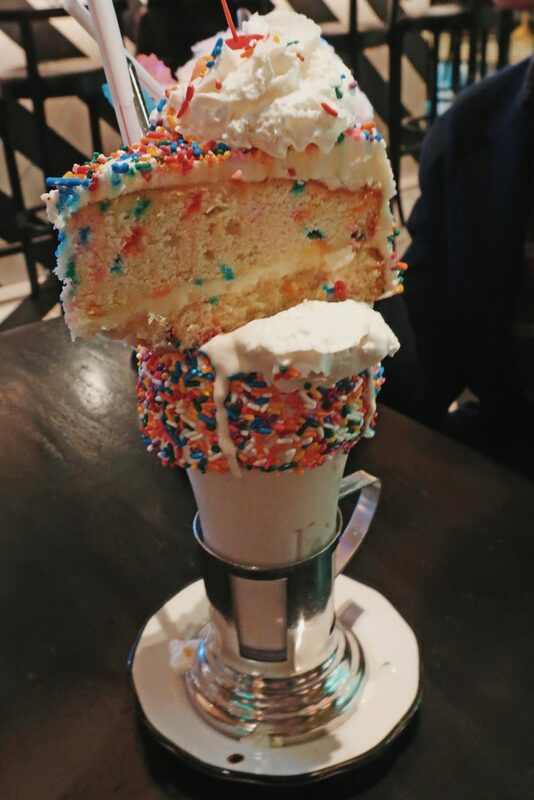 While you’re at the Cosmo, make sure to grab a milkshake at Momonfoku’s Milk Bar. If you’re at the venation, visit Black Tap for an outrageous ice cream dessert. if i ever make it back to Las Vegas, I would love to explore outside the strip! I can only imagine how much nature and adventure there is out there and your photos prove that! Thanks for sharing! I honestly loved hiking the national parks more than the gambling and nightlife of the city. This is a really great round up of ideas that will surely save a lot of money too! 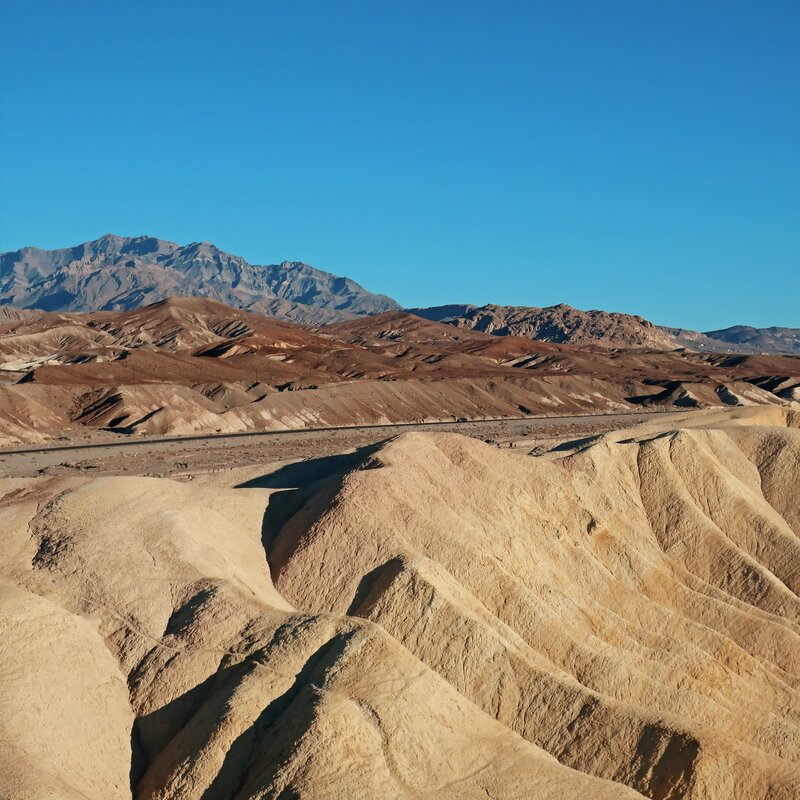 I have already explored some of your suggestions like the Death Valley and Hoover Dam and they were spectacular. But I would like to do some hikes you have recommended. Red Rocks NP and Valley of the Fire State Park sound great. And, I agree with the Strip lacks unique restaurants with an impressive setting and good quality food! Oh I love the idea of getting off the Strip, hiring a car and finding some happiness in a hike or two. Is it expensive to hire a car in Vegas? Hi Jean, It was pretty affordable and convenient to rent a car at the Las Vegas Airport. You could get a rental for 3 days for about $100 depending on what insurance package you get/ what kind of car you want. 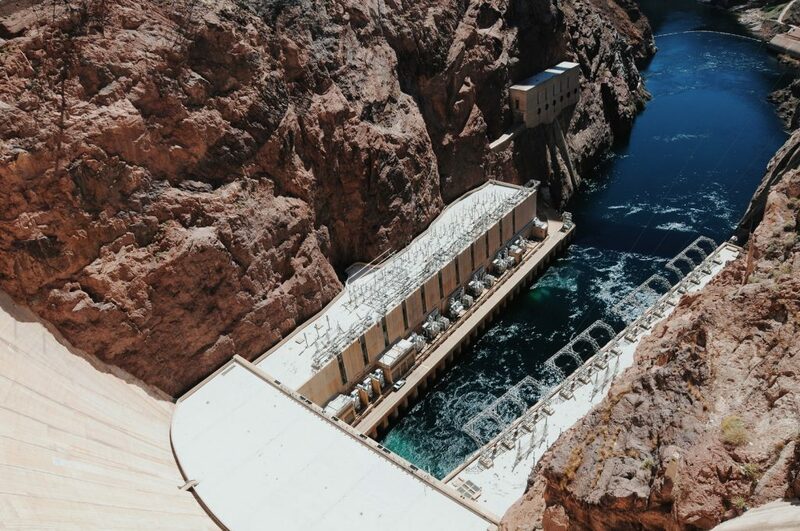 The aerial view of Hoover Dam is magnificent! Never been to Las Vegas but maybe in the future. As for Las Vegas entertainment, we have similar destination here in Asia and the Philippines. 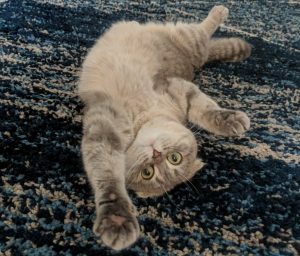 I still haven’t even made it to Vegas yet, but the activities you mention here are making me want to go! Those hikes look gorgeous and the Hoover Dam looks stunning. I was curious about whether it would simply be too hot for outdoor activities, so I like how you mention that it’s really not too bad in the winter months. Loved Red Rock! There’s much more than the strip to explore. 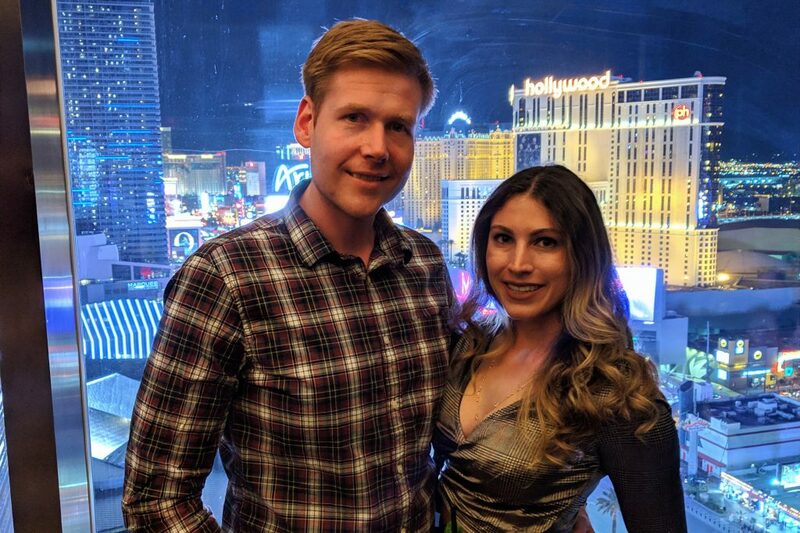 I’ve been to Vegas a few times now and still haven’t seen a lot of those places you’ve mentioned. I like knowing there is more to explore!